It’s hard to imagine any large dock or ocean ship’s hull without the craggy build-up of barnacles. They’re an integral part of the archetypical nautical aesthetic. That said, they’re actually harmful to the environment in several ways. For one, the more barnacles on a ship, the more that ships drags in the water causing the sea vehicle to burn up more fuel by as much as 40 percent. But the less obvious and perhaps more frightening threat that barnacles and other tiny sea critters pose to the overall ecosystem is that traveling ships are introducing them to foreign habitats. 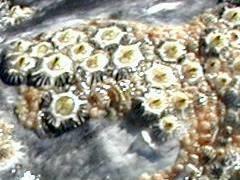 The barnacles end up acting as invaders contending with indigenous and unsuspecting marine life all over the globe. To combat this problem, multiple shipping companies equipped their ships’ exteriors with certain coatings to repel the barnacles. However, this solution disrupts the ecosystem in its own way by killing off the barnacles and other ocean life. According to the ACS journal Industrial & Engineering Chemistry Research, a team of scientists and colleagues led by Guillermo Blustein have put their minds to developing a sustainable paint component that deters barnacles and other creatures while also sparing their lives. The key ingredient in this new coat of paint? The roots of the Maytenus tree—a hearty evergreen tree with a straight trunk that’s native to Chile and Argentina.